Your home office can be your special place again with this beautiful and functional office desk . Enjoy comfortable computing and work from home or office with the Carlton Desk. Its large surface area is ideal for a monitor, laptop or tablet and leaves enough room for paper, books and other writing accessories. It features a pull-out keyboard tray behind a flip down drawer front. 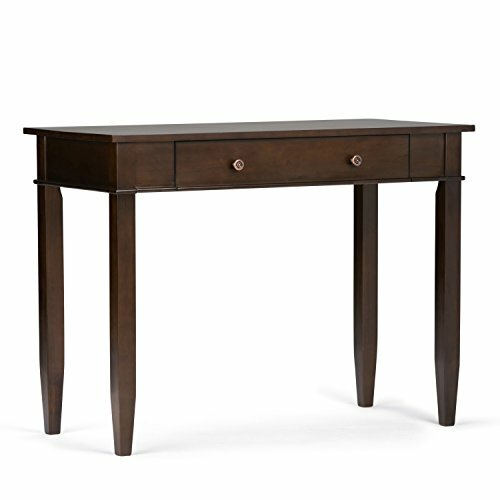 Ideal for the home office or living room settings where it can be used in place of a console table. This item is hand-crafted and hand-finished with utmost care, as such variations and imperfections should be expected and should be welcomed as the natural beauty of the wood.